At the YMCA, we’re for healthy living, youth development, and social responsibility. Our mission is to put Christian principles into practice through programs that build healthy spirit, mind, and body for all. Illinois YMCAs are in 150 diverse communities around the state, and serve almost 1.2 million Illinoisans, both children and adults. The Illinois State Alliance of YMCAs advocates on behalf of these Ys. The Illinois State Alliance of YMCAs connects, supports and fosters state-wide initiatives, leads public policy education efforts and ensures communication to advance the YMCA’s mission in Illinois. Did you know we are the single largest provider of early childhood and school age programs in the state, and the nation? Illinois Ys provide chronic disease prevention and education programs, such as the YMCA Diabetes Prevention Program and LIVESTRONG® The Illinois Alliance of YMCAs, and many individual Ys, also are part of Pioneering Healthier Communities efforts to help children and families choose a healthier path by improving physical activity and nutrition in communities and schools. 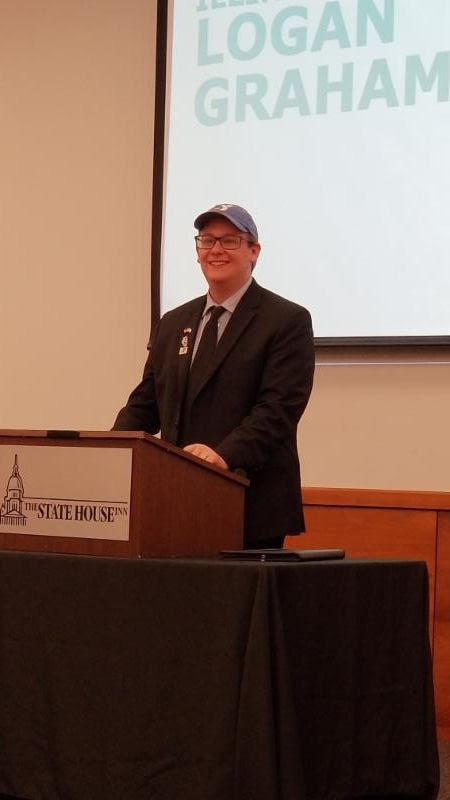 On Wednesday April 10th, 44 staff and volunteers from YMCAs throughout Illinois gathered in Springfield for the 2019 YMCA State Advocacy Day. Y Advocates spent the morning visiting their representatives and senators discussing YMCA priorities such as increased funding for CCAP reimbursements and YMCA capital requests. Then at the State House Inn, Rep. Tom Demmer discussed the current state of the legislative session and answered questions from participants. 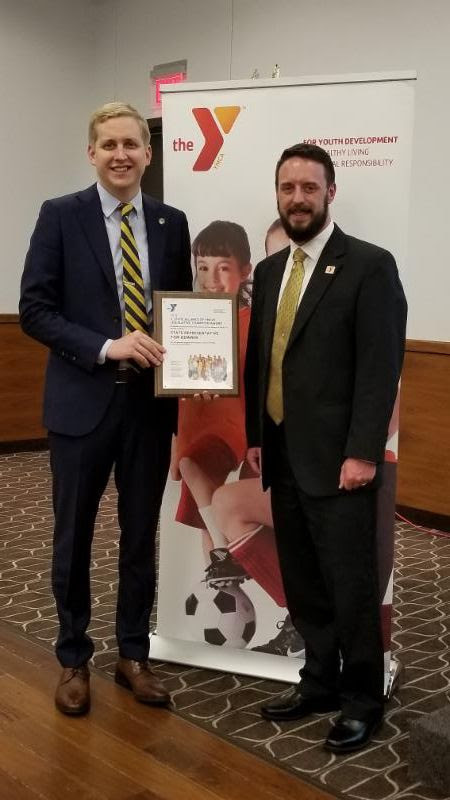 Andy McFarlane, CEO of the Dixon Family YMCA, presented Rep. Demmer with the Legislative Champion Award for his work in support of after school programs throughout the state. A highlight of the day was the address given by YMCA Youth Governor Logan Graham. Logan inspired the group by speaking to the power of connecting on an individual basis and the change YMCAs inspire in people through their programs and relationships within their communities. The day concluded with breakout sessions on strategies to address the minimum wage increase and how to be an effective advocate. Copyright © 2015 YMCA of the USA. All rights reserved.